Gareth Widdop, Ryan Hoffman, Alex Johnston and Jason Taumalolo are all out this week. SOUTH Sydney have settled on an interim fullback, and the Dragons have been forced into a new-look spine. 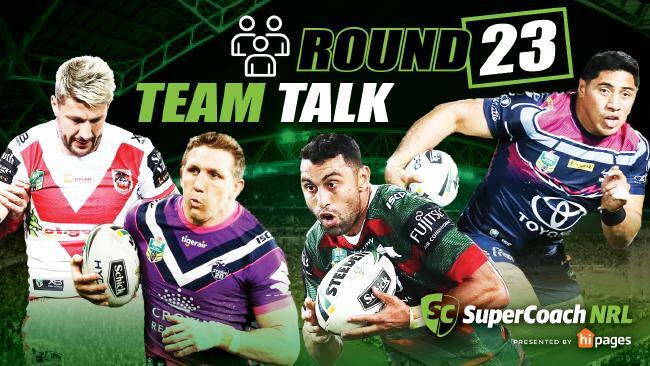 Here is every NRL club's Round 23 squad. 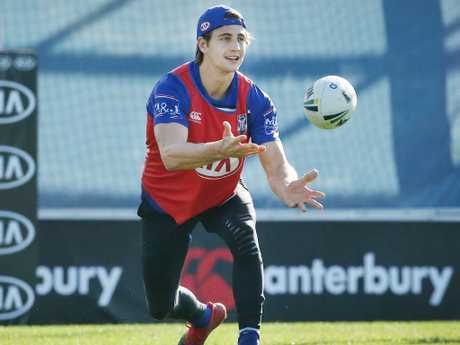 Analysis: Dane Gagai switches to fullback for Alex Johnston (hamstring). Tyrell Fuimaono starts at centre with Mawene Hiroti named to debut from the bench. Analysis: Brenko Lee (hamstring) returns in the centres with Brendan Elliot dropping to reserves. Analysis: Ryan Hoffman (hamstring) is out with a serious injury, replaced by Cheyse Blair on the bench. Analysis: Tim Mannah (broken hand) returns at prop in place of Kane Evans (calf, round 24). Oregon Kaufusi has been named to debut off the bench in place of Will Smith. Analysis: James Maloney (knee) is replaced at five-eighth by Tyrone May. James Tamou (leg) returns from injury at prop. Jack Hetherington (suspension) misses out. Moses Leota and Wayde Egan join the bench. 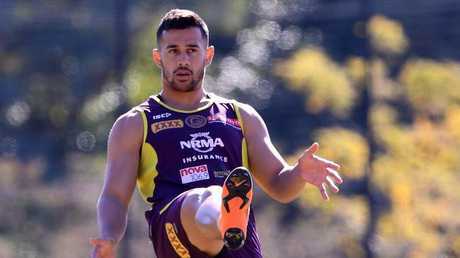 Analysis: No changes despite talk Kalyn Ponga (ankle) would be rested. Connor Watson (groin) is aiming for next week. Analysis: Mahe Fonua (broken arm) returns at centre after a long lay-off. Kevin Naiqama shifts to the wing and Malakai Watene-Zelezniak dropping out. Chris Lawrence also returns from injury in the second row with Matt Eisenhuth moving to the bench and Jacob Liddle back to the reserves. Analysis: Gareth Widdop (shoulder) is replaced at five-eighth by Kurt Mann, although fellow candidates Jai Field and Darren Nicholls have been included in reserves. Jacob Host (shoulder) returns from injury on the bench. 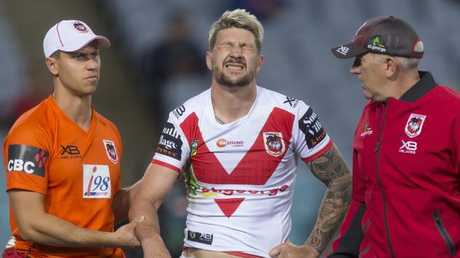 Gareth Widdop is out after dislocating his shoulder. Analysis: Scott Sorensen replaces Wade Graham (knee) on the left edge with Kurt Capewell added to the bench. Analysis: Jason Taumalolo (suspension) will miss one week. He is replaced by John Asiata at lock with Francis Molo joining the interchange. Analysis: Lachlan Lewis (family matter) returns at five-eighth for Matt Frawley. Analysis: The Nick Cotric fullback experiment is over. He switches to the wing with Brad Abbey named in the No. 1. Debutant Emre Guler replaces Jack Murchie on the interchange. Analysis: Jared Waerea-Hargreaves (ribs) is replaced at prop by Dylan Napa with Nat Butcher joining the bench.